A Cooling tower is a heat rejection device that extracts waste heat to the atmosphere through the cooling of a water stream to a lower temperature. 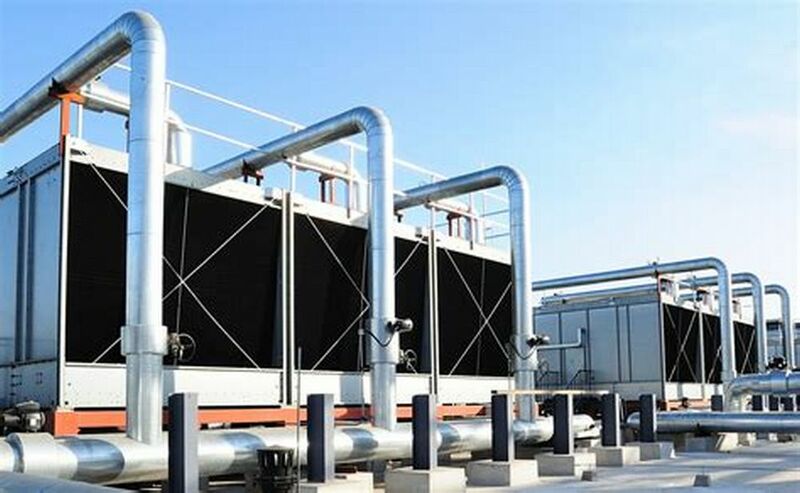 Cooling towers may either use the evaporation of water to remove process heat and cool the working fluid to near the wet-bulb air temperature or, in the case of closed circuit dry cooling towers, rely solely on air to cool the working fluid to near the dry-bulb air temperature. An HVAC (heating, ventilating and air conditioning) cooling tower is used to dispose of (reject) unwanted heat from a chiller. Water-cooled chillers are normally more energy efficient than air-cooled chillers due to heat rejection to tower water at or near wet-bulb temperatures. Air-cooled chillers must reject heat at the higher dry-bulb temperature and thus have a lower average reverse-Carnot cycle effectiveness. 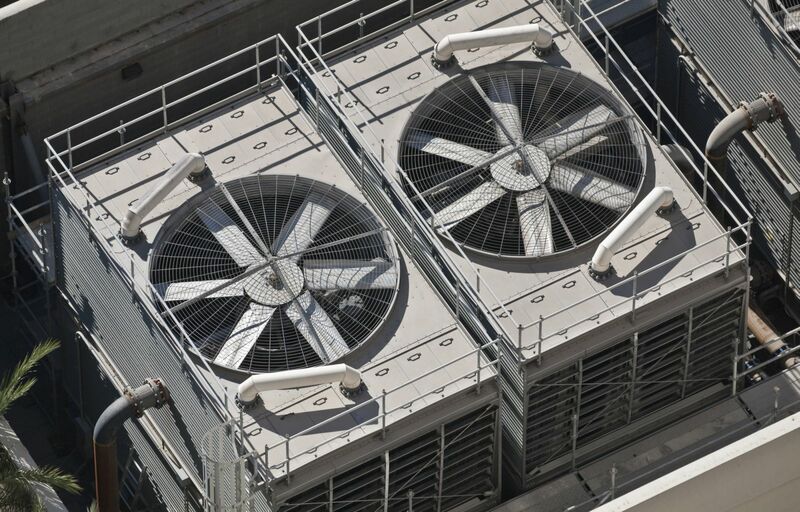 Large office buildings, hospitals and schools typically use one or more cooling towers as part of their air conditioning systems. Generally, industrial cooling towers are much larger than HVAC towers. At Southeast Mechanical Service our experienced, trained and certified technicians are knowledgeable in all the different facets of cooling tower replacements, repairs and maintenance. To have one of our trained technicians come out and visit you today, please do not hesitate to contact us to schedule a consultation. We look forward to hearing from you.